It’s not often you’ll see Malaysia popping up in conversation with Thailand, Cambodia and Vietnam hogging all the attention. But when drafting up a Southeast Asia itinerary, don’t make the mistake of leaving Malaysia out of the running. Malaysia’s worthy of a visit in its own right, equally as capable of putting a smile onto your face as any other destination in Southeast Asia. Do I need travel insurance for Malaysia? Like much of Southeast Asia, Malaysia’s weather can be a bit of mixed bag. In general, expect hot & humid conditions throughout the year with two distinct wet & dry seasons that are different depending on where you decide to visit in Malaysia. On any given day in Malaysia, however, you should expect that things can turn from blissful & sunny to miserable at the drop of a hat. Be sure to include an sturdy umbrella and lightweight rain jacket in your Malaysia packing list. One of the questions I get asked most frequently is: Is travel insurance worth it? You’ll hear different opinions about travel insurance all over the place. In the end, it’s an easy answer: Yes, travel insurance is extremely important! I’ve been famously lucky with my travels going on without incident. My streak finally ended on a recent trip to Malaysia. After a longer than anticipated bus ride from Singapore, I arrived in Melaka only to find that my backpack didn’t make it. After several visits with support staff and unanswered emails to the bus line, I soon realized that my trusty backpack and I, after seeing about 50 countries together, weren’t going to be reunited. That was okay, I thought; I have travel insurance through my credit card! When I arrived home and called American Express, it took a whole 15 nanoseconds for them to inform me that their insurance wouldn’t cover the loss/theft of my precious belongings. I learned my lesson the hard way: Always get a separate travel insurance plan! Had I purchased the right travel insurance policy, like I’ve almost always done in the past, I would have avoided wasting hundreds of dollars on replacing everything from my luggage to shoes to clothing to tripods. Looking for affordable & reliable travel insurance coverage? Travel insurance from WorldNomads.com is available to people from 140 countries. It’s designed for adventurous travellers with cover for overseas medical, evacuation, baggage and a range of adventure sports and activities. Unlike most companies, World Nomads even allows you to purchase a policy after you’ve started your travels! Get a no-obligation travel insurance quote by clicking here. Like throughout much of Asia, it’s hardly a problem getting connected in Malaysia. Most hotels throughout Malaysia offer free WiFi during your stay. Modern restaurants & cafés in major tourist centres will also often allow customers to connect. Whether you’re connecting through your own device or through a public Wifi network, you’ll always want to connect through a virtual private network (VPN) when you’re travelling. With all the breaches that have happened in recent years, it’s obvious that your personal data can be vulnerable anytime you connect to the Internet. VPNs mitigate the risk by encrypting your data to make it “invisible” to prying eyes. One of the best VPN providers for travellers is NordVPN. In connecting through NordVPN, your data is protected using double encryption technology. In other words, it becomes next to impossible to steal. Ready to plan out your Malaysia itinerary? Don’t forget the following travel essentials before you go! Guidebooks: As much I rely on technology, I rarely travel without print guidebooks. Lonely Planet Malaysia, Singapore & Brunei provides one of the more comprehensive and up-to-date travel guides for the country. Phrasebooks: Although the language barrier in Malaysia isn’t as big as in other Southeast Asian countries like Vietnam or Laos, it’s a good idea to keep the Lonely Planet Malay Phrasebook by your side in a pinch. (Plus it’ll impress all your new Malaysian friends when you can bust out a few words in Malay!) You might almost find the Lonely Planet Mandarin Phrasebook handy. Language learning resources: If you want to get a little more in-depth with the language, I’d recommend checking out the beginner/intermediate book & audio course Teach Yourself Complete Malay. Vaccinations: In addition to being up-to-date with your routine vaccinations, the CDC recommends getting vaccinations for Hepatitis A & B and typhoid for travelling to Malaysia. There’s no place in Southeast Asia quite like Malaysia. And while it may lack a world wonder like Angkor Wat in Cambodia or dispense with the party-seeking thrills of Thailand, Malaysia’s pleasures are no less compelling or worthy of your time. 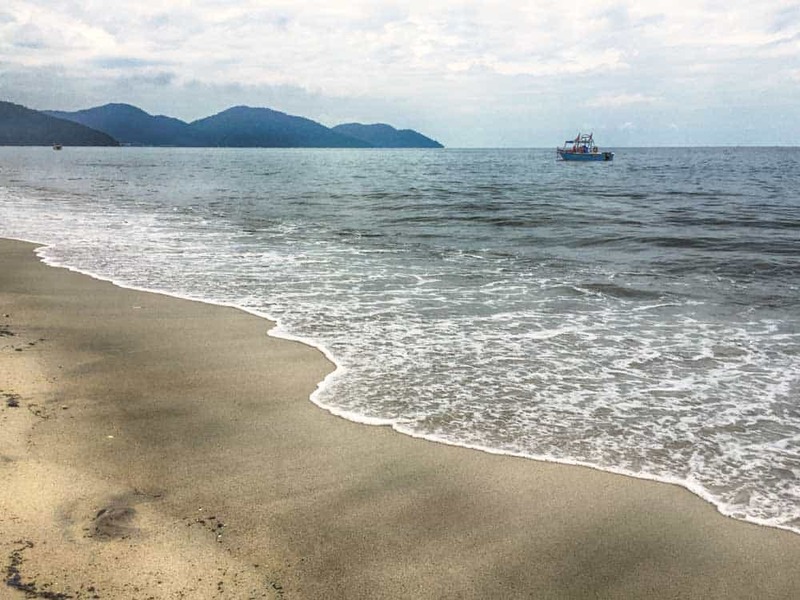 Whether you’re ready to be seduced by the colonial charms of George Town or the pristine beaches of the Perhentians—and just about everything in between!—I guarantee that you’ll soon connect with Malaysia at at a deep level. Of course, in a country this wide and this diverse, you’ll never see it all in just one trip. As a beginner with only 10 days in Malaysia, your best bet is to focus on Peninsular Malaysia (West Malaysia). Unlike Malaysia’s wilder east (Sabah and Sarawak on untamed Borneo), travelling between destinations in West Malaysia is neither an exercise in extreme patience or will. Mainland Malaysia is fairly mainstream as far as Southeast Asian travel destinations go, eliminating many of the hassles you’d encounter in these more offbeat corners of the country. 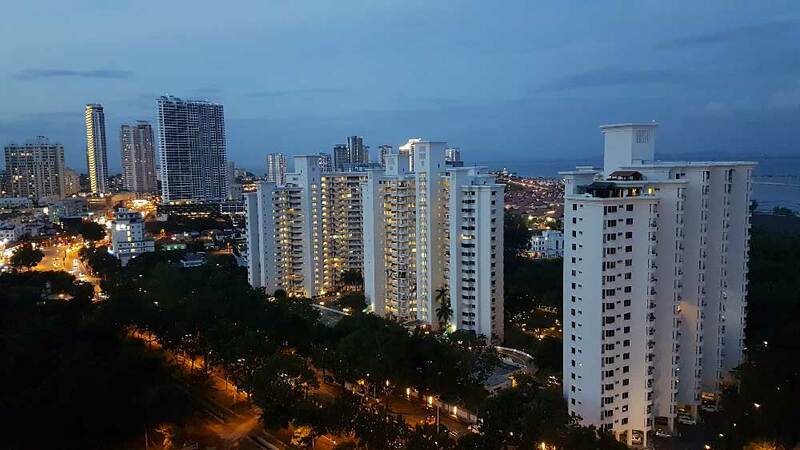 The top accommodations in Peninsular Malaysia are budget-friendly and modern, public transportation is comfortable & efficient, and distances between the major travel destinations are manageable. All in all, these simplicities make for a smooth ride—even if you’ve never set foot in Southeast Asia before! Whether you’re a cosmopolitan wanderer or backwoods adventurer, Peninsular Malaysia will give you something to get excited about. In this 10-day Malaysia itinerary, I’ve focused mainly on urban destinations. For most of you, it’ll be a good starting point in planning your trip to Malaysia. Within each of these cities, you’ll find all the evidence you need to make this fascinating country your next favourite Southeast Asian destination, and have a chance to explore even more of it through day trips should you extend your stays a little further. Not sure I’m covering your preferred travel style or have more time to spare? Below this 10 days in Malaysia itinerary, I’ve left you with a couple ideas to customize the trip to your liking. If you’re looking to swap a little city-slickin’ time for lazing on the beach, now’s your chance to do it. Without further ado, let’s get started—and enjoy Malaysia! 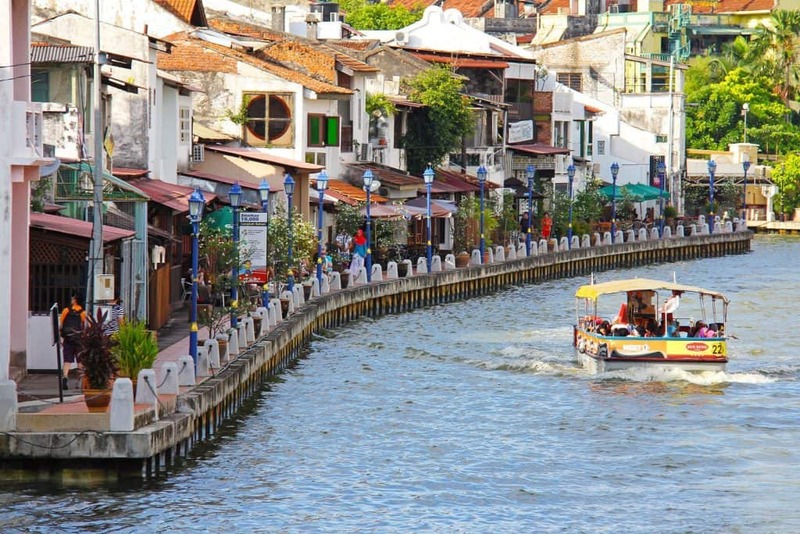 Before you slap down your credit card and book that flight to KL, here’s a little curve ball: When planning your first trip to Malaysia, start it off in the riverside city of Melaka rather than Kuala Lumpur. While wandering around the ever-fascinating Melaka, you’ll likely question whether you’re in Southeast Asia. With a background of strong European colonial influences, Melaka is not exactly a run-of-the-mill Asian travel destination. And that’s all part of the city’s charm. No, this old riverside town is no longer an undiscovered tourist destination. As little as you’ve likely heard about Melaka, don’t expect that you’ll be travelling alone here. It’s a favourite on the Malaysian backpacker trail, and an ever-increasing hordes of tourists pounding the pavement prove it. Either way, what you’ll find hiding among the streets of Melaka is bound to leave an impression, and a tremendously good one at that. 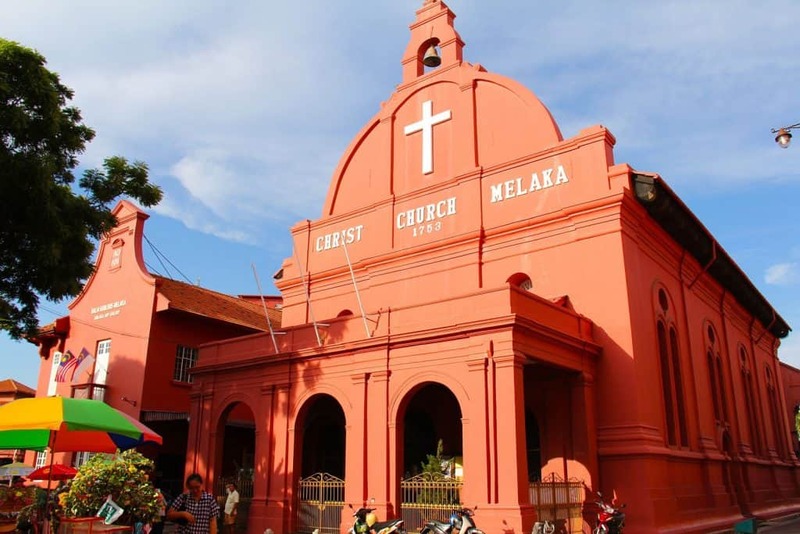 From the delights of Chinatown to its rich tapestry of European and Eastern influences, Melaka presents one of Southeast Asia’s most unique destinations, and one that will never cease to keep you busy. Melaka isn’t a place where you’ll need to dig too deep to find what you’re looking for. The city wears many of its charms on its sleeve. Simply walking along the beautiful riverside or exploring the backstreets will keep you intrigued in this fascinating multicultural town. And what kind of guide would I be without mentioning food? Besides its outwardly handsome appearance, Melaka is one of the best cities in Malaysia to eat. And in a country that takes its food this seriously, that’s says a ton. A sprinkling of Portuguese and Peranakan (Straits Chinese) influence has left Melaka with a culinary palette all to its own. While you’re pouncing around the city, spellbound by its architectural mojo, there’s no doubt that your tastebuds will fall equally in line with your other senses as you ply through food stalls and restaurants serving some of the best street food in Malaysia. While wandering through Melaka’s historic centre, you’ll immediately notice the colonial influences. With three major European powers all grasping control of this strategic city during its long history, there’s a hodgepodge of architectural styles that give Melaka an air unseen anywhere else in the world. 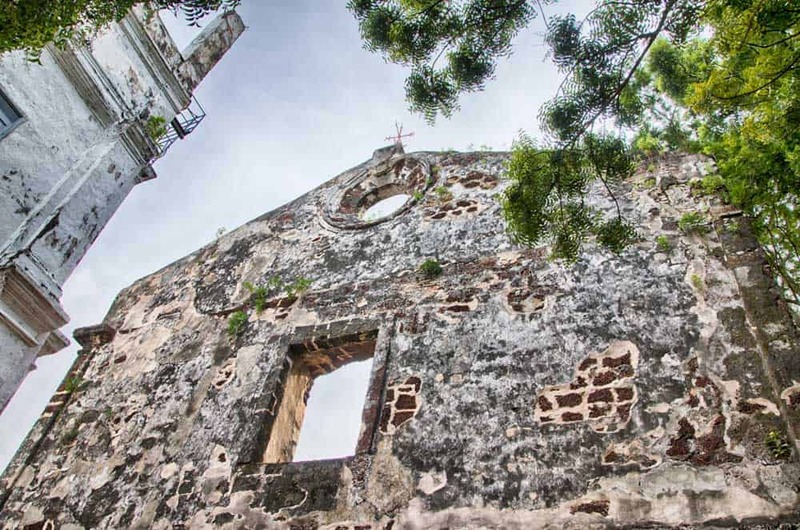 Start by exploring Melaka’s two most famous Portuguese colonial sites, A’Famosa Fort and St. Paul’s Church, overlooking the city from atop Bukit St. Paul (St. Paul Hill). Other than a sole gate (Porta de Santiago) and the evocative church ruins, little remains from the 16th-century former Portuguese stronghold. Even more evocative are the city’s Dutch colonial possessions. The Stadthuys and the nearby Christ Church take centre stage in Melaka among the colonial buildings with their distinctive terracotta façades. Sparing 45 minutes to drift along the Melaka River is one of the best ways to get acquainted with the city. 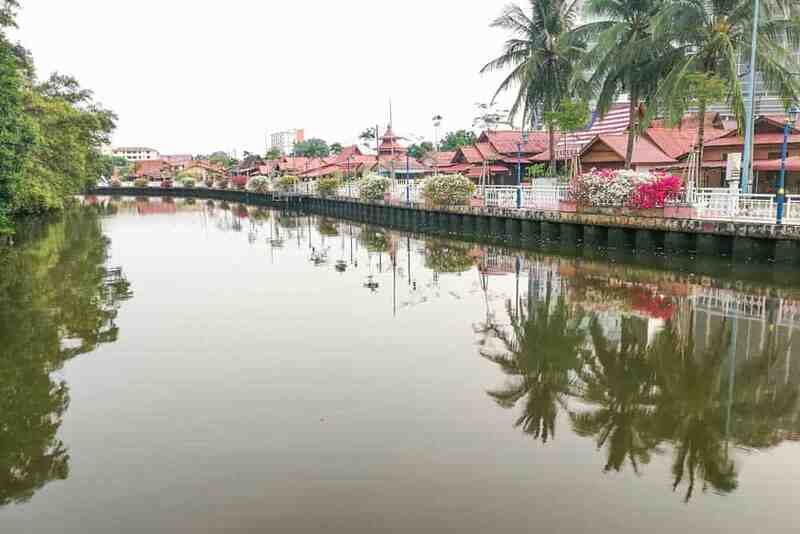 On your jaunt you’ll float by many of Melaka’s historical sites and traditional Malay villages such as Kampung Morten. For a more romantic experience with your significant other, try a Melaka Night River Cruise. The colourful trishaws in Melaka are something of traveller legend. This three-wheeled mode of transport is popular all around Southeast Asia, not just Melaka, and is one of the quickest and most scenic ways to get around the city. If you’ve never ridden a trishaw before, there’s hardly a better place than Melaka to do it. 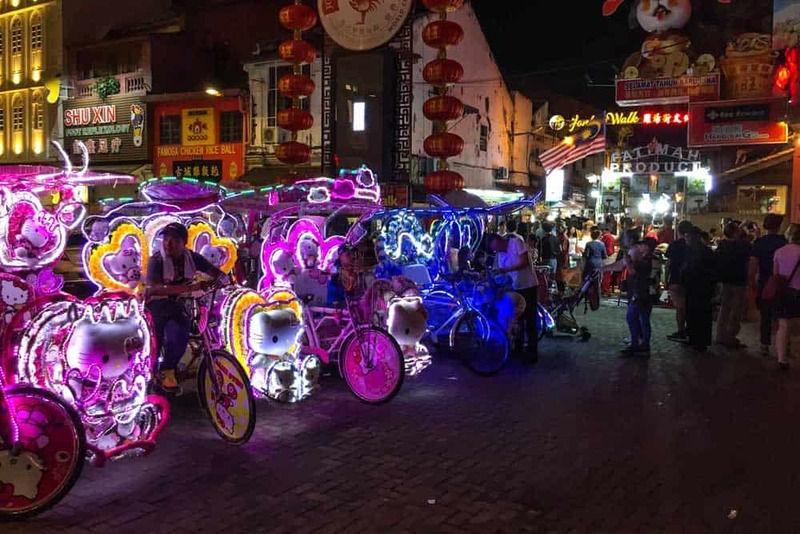 The most recognizable trishaws around Jonker Street are decked out with bright lights, Hello Kitty gear, and obnoxious loud-speakers that you’ll no doubt hear into the night if you’re staying in the city centre. I’ve never quite understood why Chinatowns around the world are always so happenin’. Melaka’s is no exception. Chinatown’s most famous street, Jonker Street, is where some of Melaka’s coolest cultural attractions hang about. Since Melaka is a veritable heaven for foodies, stop by Jonker Walk Night Market on a Friday, Saturday or Sunday for some delicious eats. Don’t even think of leaving without trying the chicken rice balls, the unofficial state dish of Melaka, or one of the delicious street-side ice cream pastries. With the compact size of the city, it’s hardly a challenge to choose where to stay in Melaka. As long as you stay somewhat near the centre, you’ll have plenty of opportunities to stick close to the action and explore the historic city on foot. Hatten Hotel Melaka: A clean and comfortable 4-star hotel close to all the action. The 12th-floor rooftop pool area is simply stunning. 1511 Guesthouse Melaka: A superb choice for clean budget-friendly rooms in the historic centre. It’s only a couple blocks from the river and a quick walk from many of Melaka’s most popular tourist attractions. Casa del Rio Melaka: The top 5-star luxury hotel in the city. Rooms include private balconies that overlook the river. End your day off cooling down in the luxurious riverside infinity pool. By air: If you’re starting from Europe or North America, your best bet for starting your Malaysia itinerary in Melaka is to fly into Singapore and continue by bus. Airfares to Singapore will be vastly cheaper than those to Malacca International Airport (Batu Berendam Airport). Several airlines fly into Singapore Changi Airport (SIN) from international departure points including Singapore Airlines. Looking for cheap flights to Malaysia or Singapore? I’d highly recommend checking out CheapOair! After spending hours fiddling with several different sites like Skyscanner and FlightNetwork, I’m consistently finding better airfares, time and time again, on this lesser-known OTA. By bus: From Singapore to Melaka, you’re on banking on a 2.5- to 3-hour bus ride (more if there are border delays). And then, of course, there’s the adding bonus of spending a couple days in Singapore! A good option, if you choose this route, is Golden Coach Express. They run up to three buses per day between Singapore and Melaka, a journey lasting just over 3 hours. TIP: Sticking strictly to this 10-day Malaysia itinerary, you could save time by flying into Malacca International Airport (Batu Berendam Airport). It’ll certainly cost you more than the flight/bus route from Singapore, but will save you a day if you’re tight for time. On the surface, Kuala Lumpur is much like any other big modern Asian city: loud, sprawling, and skyscraping. But the unique melange of Chinese, Malay and Indian cultures give KL an attitude all on its own. There’s really no place quite like Kuala Lumpur. 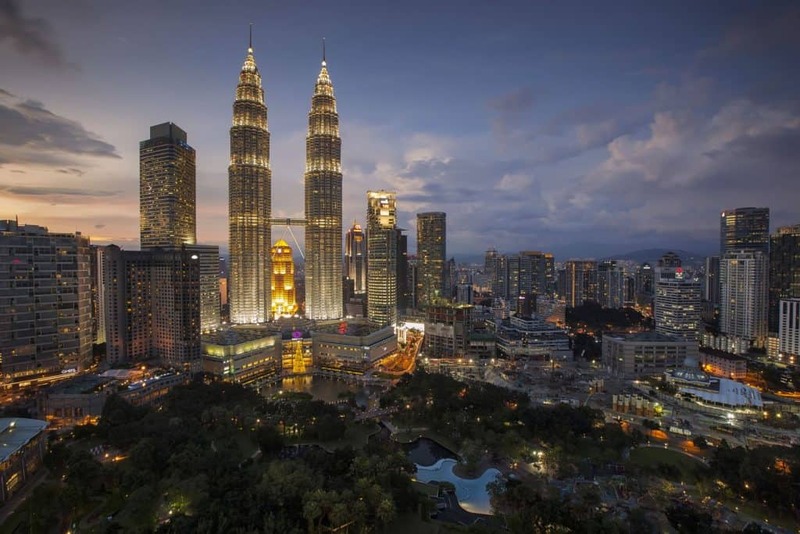 Walking the streets among Victorian buildings, colourful temples, restaurants tempting you with roti canai or laksa, and gravity-defying glass towers, it won’t take you long to realize there’s something magnetic about Malaysia’s capital and biggest city. Not everyone instantly falls in love while travelling in Malaysia’s capital. It’s at times brash, loud, and a little overwhelming. But we wouldn’t have it any other way! Unlike beautiful Asian cities like Kyoto, you won’t find the charms jumping out at you during your first 24 hours in Kuala Lumpur; many of the city’s most compelling moments unfold once you get over the initial shock of wandering around such an outwardly chaotic place. Slip into a traditional market in Little India or dig your spoon into a laksa and soon you’ll see why so many travellers clamber for more time in KL rather than escape at that first opportunity. Home to the massive state-owned petroleum company, Petronas, this oversized pair of buildings might be the most famous architectural twins in the world. For six years, until Taipei 101 swiped the crown, the Petronas Towers were the two biggest towers in the world. And if even if the title’s been long conceded, these architectural marvels are an absolute must-see while in Kuala Lumpur! 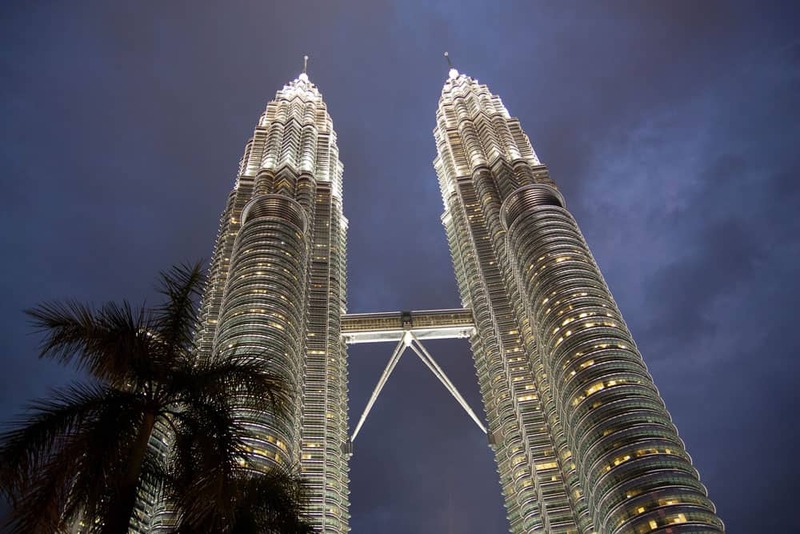 The best way to experience the Petronas Tower isn’t just gawking at them from below. Embrace your vertigo by trekking between the buildings on the 170-metre high Skybridge to catch a glimpse of KL from above. Even better is to avoid the line-up and buy Petronas Towers Skip-the-Line Tickets online before you leave. The price includes hotel delivery. If you want to combine a visit to Petronas Towers with a visit to KL Menara Tower, there’s also some time- and money-saving Petronas & KL Tower combo tickets available. Want to make the most out of your time at the Petronas Towers & in KL? Hop onto one of these awesome excursions! Best of Kuala Lumpur Tour: A full-day tour hitting up the highlights of KL including the Petronas Towers (admission included), Central Market, and Batu Caves. Full-Day Kuala Lumpur & Batu Caves Tour: A private full-day tour taking in some of KL’s top sites and a side trip to Batu Caves just outside the city. The tour also includes skip-the-line tickets for the twin towers. 10 Wonders of Kuala Lumpur: A complete full-day tour of the city’s major landmarks including National Mosque, Central Market, Batu Caves, Chinatown, and Little India. Admission Petronas Towers and KL Tower is included. While the colonial legacy in KL isn’t as impressive as in Melaka or Georgetown, a walk through colonial KL is a great way to better understand the country’s British past. The colonial district isn’t large, occupying but a small swath of land wedged between the city’s two rivers, the Gombak and Klang. At its centre is Merdeka Square, one of the most important places to visit in Malaysia. Although the British yoke was strung around this district, it was here that Malaysia’s first president, Tunku Abdul Rahman, shook off British rule to usher in the country’s independence. Of all the buildings in colonial KL, none is more impressive than the Sultan Abdul Samad Building. Once home to the British colonial administration, this stunning building features a bricked façade fringed by colonnades and arched windows & doors that spell out its unique Moorish influences. Keen on discovering KL’s unique cultural heritage? Join in on one of these top tours! 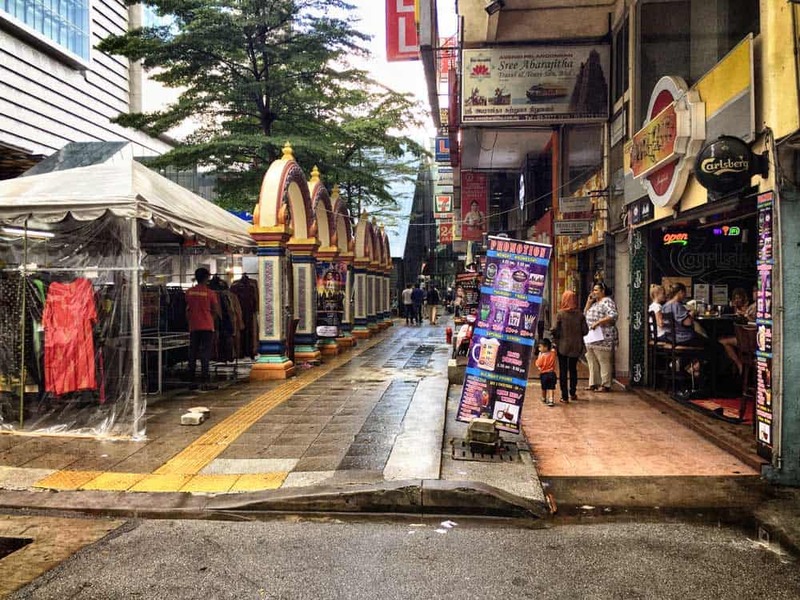 Kuala Lumpur Heritage Walk: A customizable itinerary that’ll walk you through the Malaysia capital’s oldest neighbourhoods to get a sense of the country’s three main ethnic communities and how they contribute to the city’s unique culture. 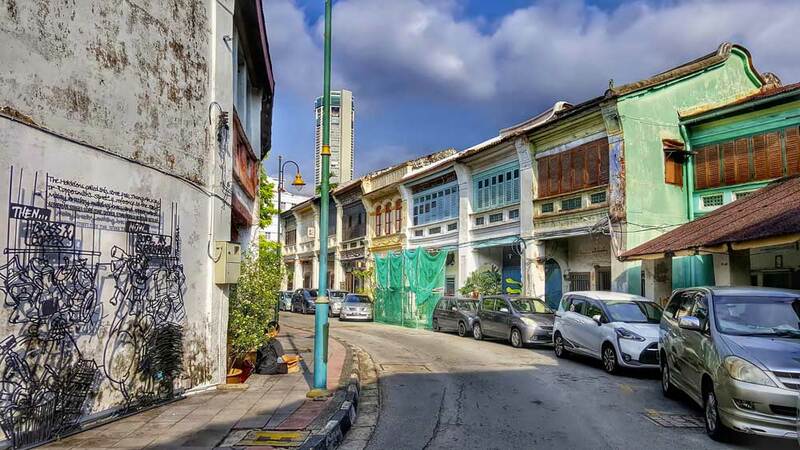 Classic Sightseeing Tour: A 3.5-hour walking tour focused on KL’s colonial centre and Chinatown including checking out Petaling Street, The Padang (Independence Square), Masjid Jamek, Royal Selangor Club, Sze Ya Temple, and Sri Mahamariamman Temple. From colonial KL, it’s a short jaunt to Little India, also known as Brickfields. Little India is perhaps the most colourful corner of Kuala Lumpur and truly worthy of the name. The streets here ring with the sound of Indian music and the air is awash with the lingering aroma of curries and masalas. It’s a like a little slice of Chennai in the more easily-digestible city of KL! Weaving in and out of the shops along Jalan Tun Sambanthan and allowing the chaotic atmosphere of and around Jalan Masjid India to engulf you is the best way to experience KL’s Little India. There’s even a handful of religious buildings to check out here, none more arousing than Sri Kandaswamy Temple, beautifully constructed in typical South Indian Tamil architectural style. And, of course, no visit to Little India is complete without tasting the food. From banana leaf curries to tandoori chicken with naan, the fiery and savoury cuisines of South India and Sri Lanaka come to life on the streets of Little India. Follow your nose to one of the area’s many restaurants for a KL eating experience you won’t forget. Want to discover more of KL’s Little India? Join in on one of these awesome tours! 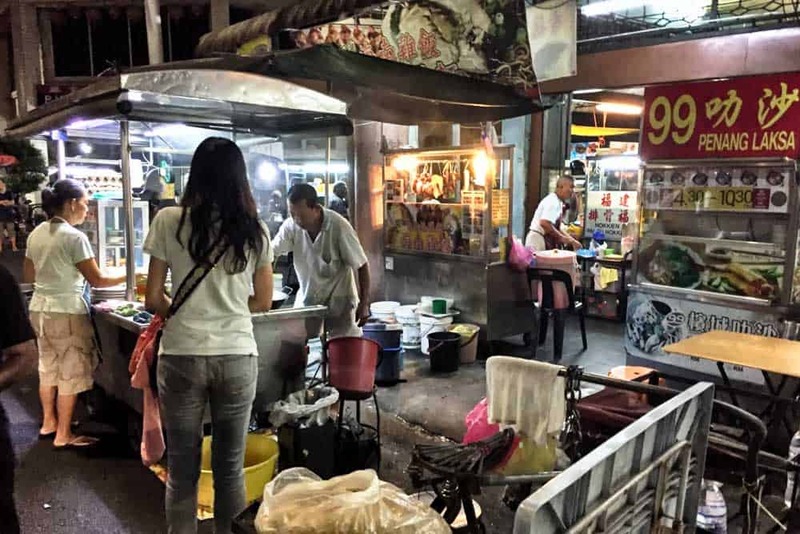 Half-Day Food Walking Tour: Experience all the best food KL has to offer on this 3.5-hour walking food tour. Includes stops in Little India (Brickfields) and Chinatown. Half-Day KL Photo Walk: An awesome 5-hour tour snaking through the colourful & bustling streets of Chinatown and Little India. Private Brickfields Tour: A value-laden 1.5-hour focusing completely on the colourful area of Little India (Brickfields). Includes a visit to 3 Hindu temples and a UNESCO World Heritage listed Buddhist temple. As you’d probably expect, Chinatown is one of the best places to wander around and taste culinary gold in Kuala Lumpur. 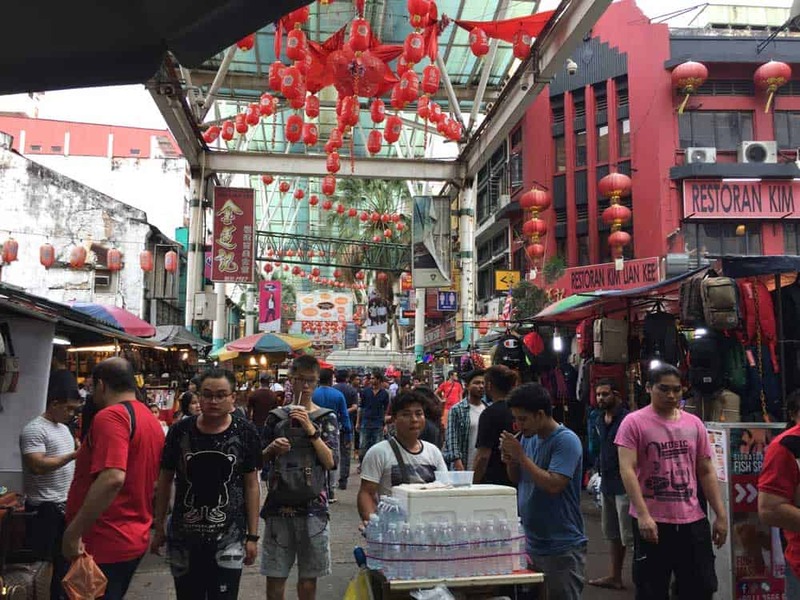 Compared to other Chinatowns around the world, KL’s isn’t big, stretching across only a handful of streets and alleyways southeast across the Klang River from Merdeka Square. By day, Chinatown is the perfect place to admire temples and dodge in and out of colourful shops selling everything from knock-off fashions to cheap souvenirs. By night, though, Chinatown transforms into a completely different place. 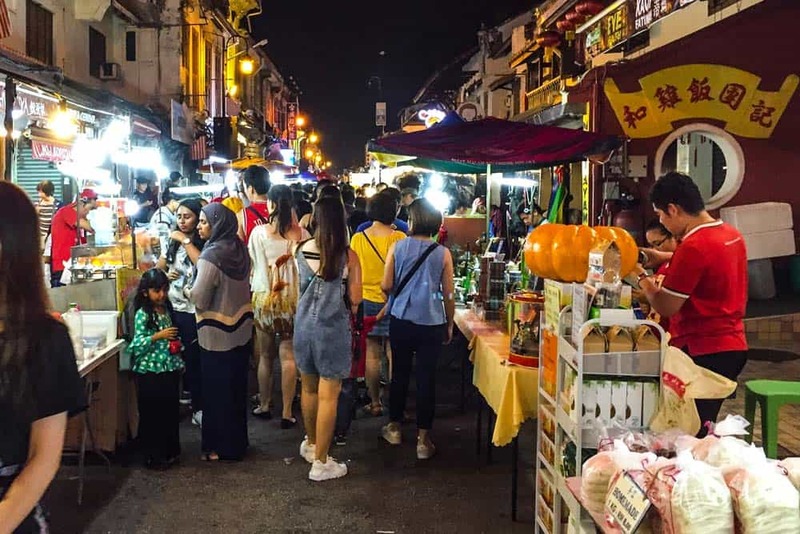 Be sure to make time in the evening to pop into Jalan Petaling, the main street in Kuala Lumpur’s Chinatown, to soak in a full-on Malaysian night market experience. Eating delicious food is, after all, one of the biggest reasons to visit Malaysia! Search out KL Chinatown favourites like Hokkien mee, Hainese chicken rice, roasted duck, and even Malay laksa to tickle your tastebuds on Jalan Petaling. Want to discover more of Chinatown? Check out one of these superb day tours! Half-Day Food Walking Tour: Put the tastiest food in KL at your fingertips on this 3.5-hour walking food tour through Chinatown and Little India (Brickfields). Chinatown Evening Walking Tour: See Chinatown at its most exciting under the veil of night on this 4-hour walking tour. The excursion includes a delicious meal at the nearby Jamek Masjid night market. Half-Day KL Photo Walk: A half-day excursion through KL’s most colourful corners including Chinatown and its bustling street markets. Half-Day Shopping and Market Excursion: If you love browsing markets, then you’ll love this half-day tour! Join your guide for 4 hours of frenzied shopping through Chinatown, Central Market, and Little India. Thankfully, Kuala Lumpur isn’t Tokyo, Singapore or Hong Kong! Choosing among the best places to stay in Kuala Lumpur is a blessing for anyone used to the sky-high prices elsewhere on the continent. Verdant Hill Hotel Kuala Lumpur: A super-central 4-star hotel located in Bukit Bintang. Features large comfortable rooms and a beautiful infinity pool with views onto the city for a price that will only set you back as much as a run-of-the-mill Interstate-side Holiday Inn would in the US. Aloft Kuala Lumpur Sentral: An ultra-stylish hypermodern hotel conveniently located next to the KL Sentral train station. If the funkily decorated rooms doesn’t sell you on this hotel, the glorious infinity pool will. Grand Hyatt Kuala Lumpur: A grand & luxurious 5-star hotel near KLCC. Rooms feature floor-to-ceiling windows with epic views of the city including the iconic Petronas Towers. By bus: From Melaka to Kuala Lumpur, budget about a 2.5 to 3 hours by bus. Most buses leaving from Melaka Sentral end up at Terminal Bersepadu Selatan (TBS) rather than KL Sentral. Arriving at TBS, you’ll need to grab a ride on the MRT to get to central KL. If you absolutely need to arrive in central Kuala Lumpur, Nice Executive Coaches operates a direct route one to two times a day between central stations. Expect to pay about 2 to 3 times more for the extra comfort and convenience. At prices starting from about RM36 (about $9), it’s still a steal! Time to steal some peace and quiet. After paying your first-timer Malaysian travel dues in KL, beeline for the relaxing Cameron Highlands. 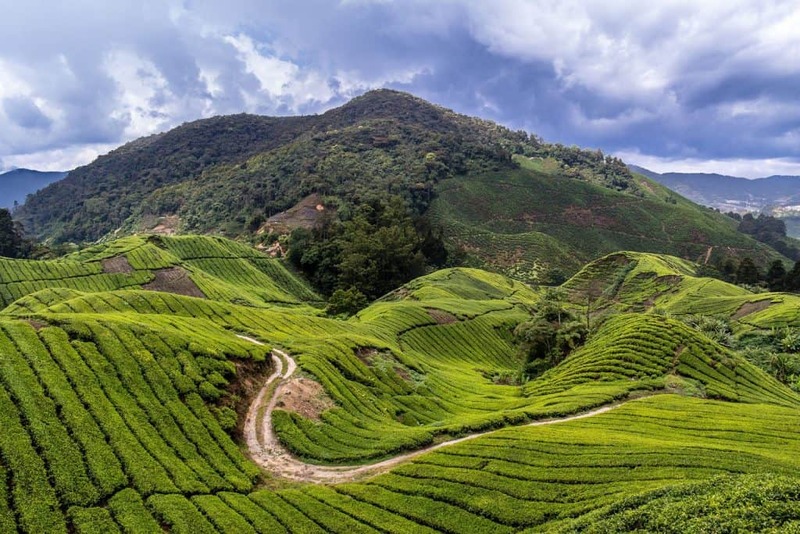 Set among tea plantations and rolling greenery, Cameron Highlands is a hiker’s dream. It’s the perfect escape from the big Malaysian city bustle you’ll have experienced so far. In Cameron Highlands you’ll finally find some respite from the heat and humidity of the lowlands. If you’d like to spend your days tramping among the hills, the cooler temperatures will be a blessing! Coming to Cameron Highlands without visiting a tea plantation would be like visiting Amsterdam without seeing a canal. The history of tea in the area is surprisingly short, only starting in the 20th-century interwar period. The oldest, and most famous, tea planation to visit is Sungai Palas Tea Estate. If you’ve never seen the intricacies of tea culture, you’ll learn a lot at Sungai Palas. Top off your learning experience by sipping on tea among the most famous views in the Cameron Highlands. Want to start your morning off right? Check out this awesome tour! 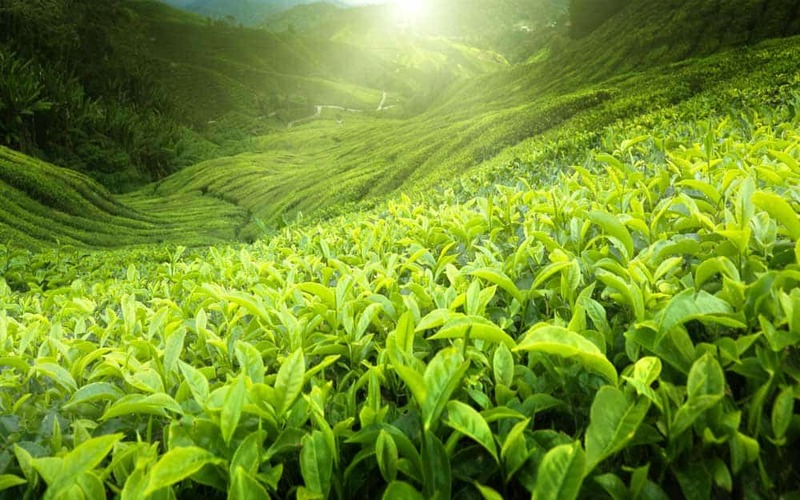 Sunrise Discovery and Morning Tea Tour: A fantastic morning tour combining an epic sunrise over the highland mountains with a tea plantation tour. The excursion includes hotel pick-up and drop-off. Are you an active traveller? When you’re planning out what to do in Cameron Highlands plan to spend most of your time ambling among the hiking trails. In the area you’ll find over a dozen official trails. Not all the trails, however, are well-marked, and the conditions vary. If planning a longer or more offbeat trek, I would recommend hiring an official guide at the recommendation your hotel/guesthouse. Arundina Cameron Highlands: A delightful guesthouse set among lush scenery less than a 5-minute walk from the centre of Tanah Rata. Views from the terrace are arresting. CH Green Stay Resort Apartment: Probably the best bang for your buck in Cameron Highlands. It’s about a 5-minute drive from the centre of Tanah Rata, but the views are fantastic. The Smokehouse Hotel & Restaurant Cameron Highlands: A warm and cozy guesthouse sprinkled with European colonial flair. It’s quiet location between Tanah Rata and Brinchang is both relaxing and convenient for sightseeing and hiking. By bus: About five buses a day ply the route from Kuala Lumpur to Cameron Highlands. The journey with Alisan Golden Coach takes about 3.5 hours and costs RM35 to RM55. One of the biggest reasons to visit Malaysia is its cultural diversity. And nowhere is this more obvious than on the spectacular island of Penang. Feeling almost like a Chinese enclave on the Malay Peninsula, Penang is sure to spice up this 10-day Malaysia itinerary. Colonial George Town, Penang’s main city, is a bonafide Asian foodie destination. Besides marvelling at the colourful mix of Chinese, Malay, Indian and colonial architecture styles, you’ll spend a chunk of your time exploring Penang’s food scene. A history of diverse culinary influences creates a palate unlike any other. You’ll never go hungry in Penang! Of all the reasons to visit Penang, none is more compelling than the variety of activities stuffed onto such a compact island. For those who feel crammed in bustling George Town, the “other” Penang offers quieter moments that can be had with little hassle. If you’re short on time, you’ll probably focus much of it wandering around the bustling streets of George Town. Like Melaka, Georgetown is a hotbed of remarkable architecture. The difference here is the overwhelming Chinese influence. Spend at least one day in George Town soaking up the temples, mansions, mosques and galleries on a walking tour. Top it off with char koay teow (stir-fried noodles) or Hokkien mee (Hokkien noodles) from a food stall at New Lane Hawker Centre. Penang Food and Culture Tour: Tickle your taste buds and your sense of adventure on this 3-hour small-group food tour. Includes tastings of 10 different local dishes! Penang City Tour: Dig into the city’s rich history and culture on this budget-friendly half-day tour through George Town including its old British colonial mansions, Little India, Chinatown, and the massive reclining Buddha at Wat Chayamankalaram. 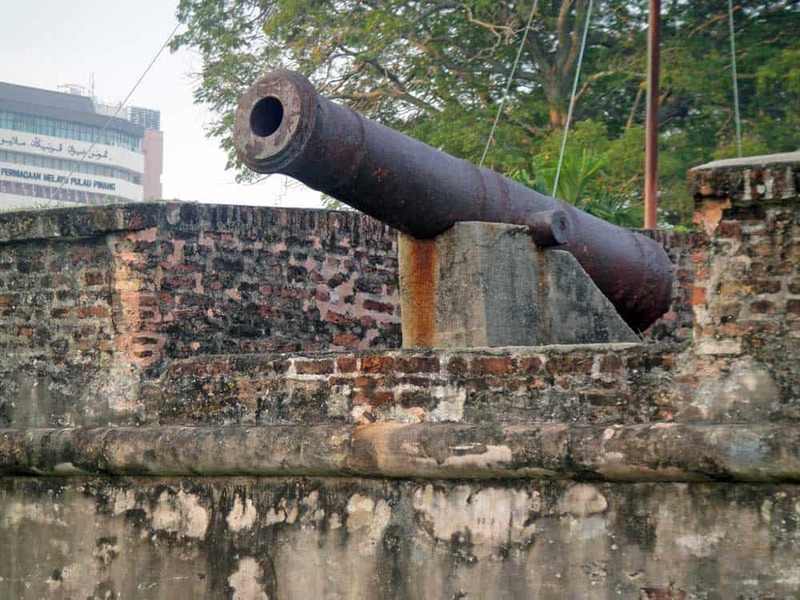 Half-Day George Town Tour: An action-packed 4-hour tour honing in on George Town’s best attractions including the Clan Jetties, Khoo Kongsi clan house, and the Pinang Peranakan Mansion. Hotel pick-up and drop-off is included. Even though it’s the smallest national park in Malaysia, Penang National Park packs in many activities. 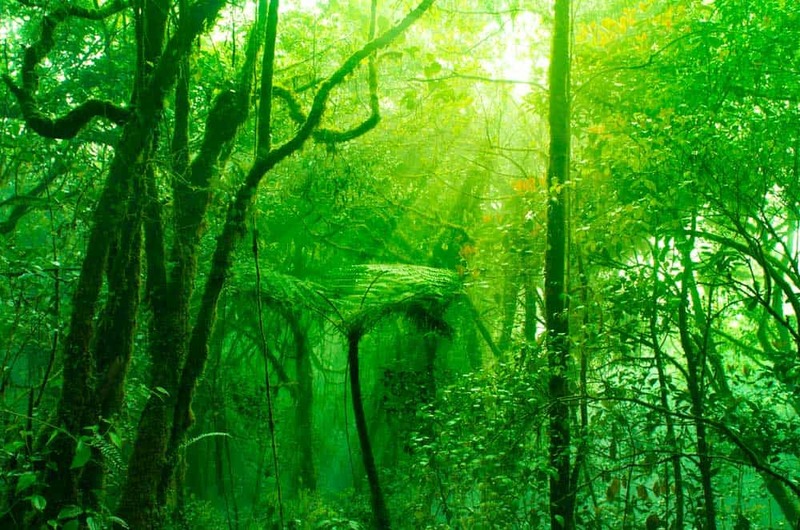 There are two decent-sized hiking trails slithering through the jungle if you want to sweat. 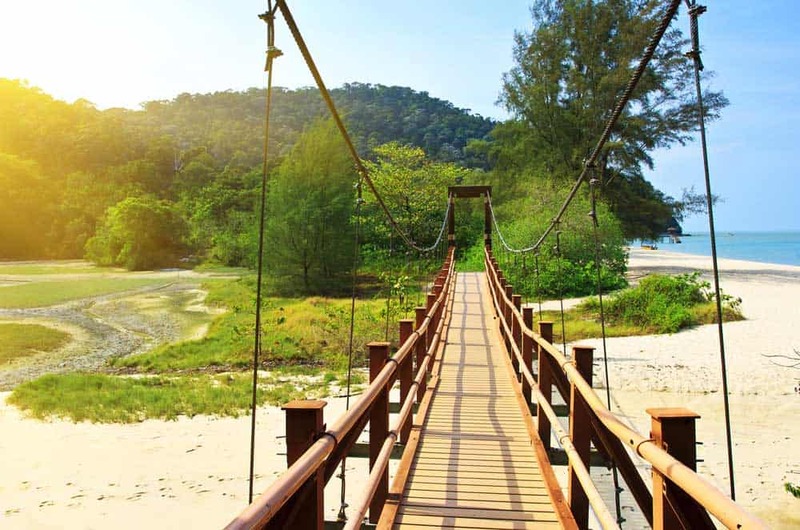 Penang National Park Half-Day Trek: A half-day tour hiking through wildlife-teeming rainforest trails leading to some of the island’s most pristine beaches. Includes hotel pick-up and drop-off and a 20-minute mangrove boat tour. Half-Day Monkey Beach Break: Escape the bustle of George Town for the relaxing white sands of Monkey Beach (Teluk Duyung). Spot the beach’s diverse wildlife—from those obvious namesake simians to white-bellied sea eagles to flying lemurs to turtles. 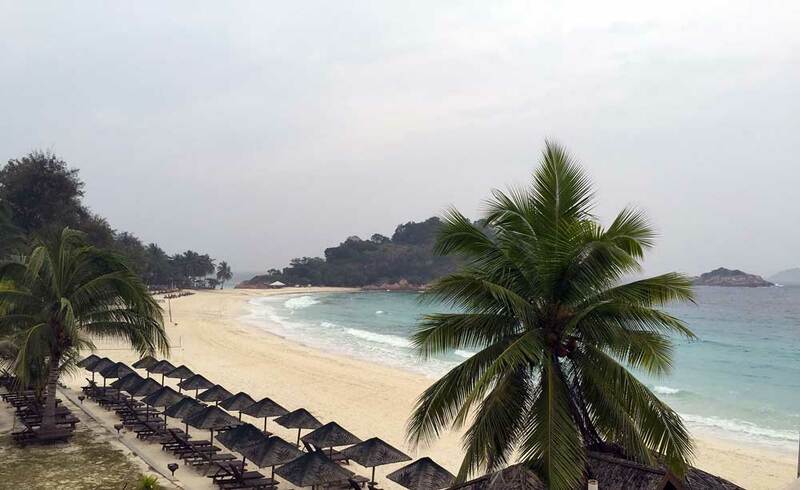 As far as beaches go, Batu Ferringhi can’t compete with Langkawi or Pulau Perhentian. But for sun-worshippers visiting Penang, the next best thing is to claim a spot here. The further you move west of George Town, the cleaner and quieter you’ll find the beaches. If you happen to catch yourself here in the evening, make a trip to the Batu Ferringhi Night Market for some Malaysian street eats. Penang Nature Tour: Combine a visit to Batu Ferringhi with other natural & cultural gems like Penang Hill, Penang Botanical Garden, and Kek Lok Si Temple on this full-day tour. 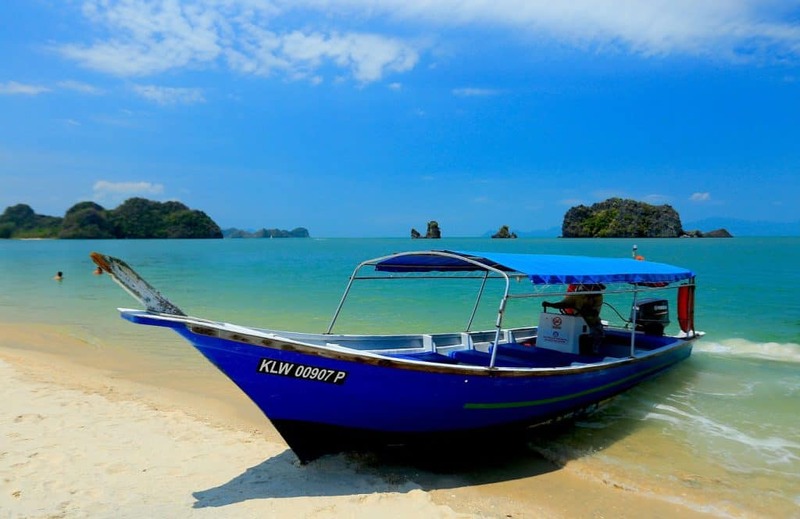 Half-Day Discovery Tour: A 5-hour private afternoon tour visiting points of interest all over the island including the Tropical Spice Garden and Teluk Bahang. 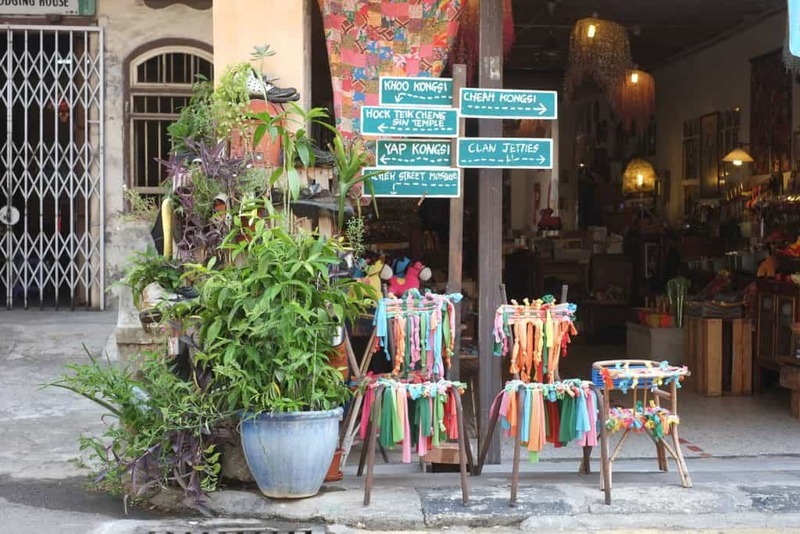 Ends with a visit to the exciting Batu Ferringhi Night Market. 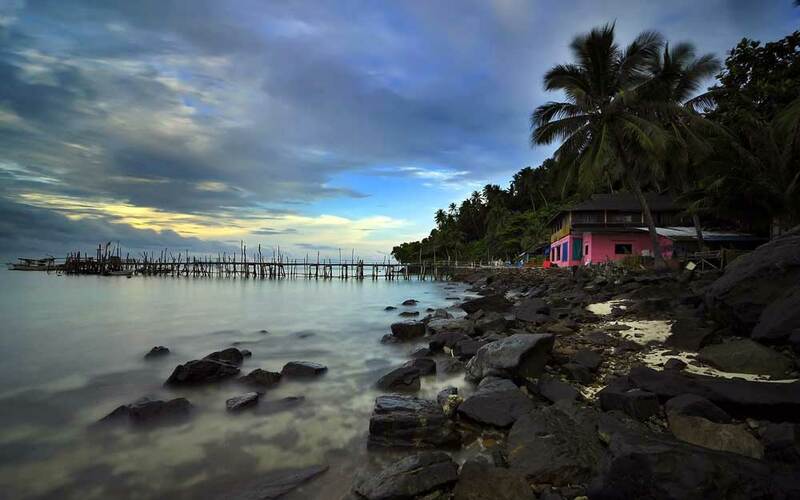 Batu Ferringhi Hidden Gems: Get away from the hotel strip on this 3- to 4-hour adventure towards some of the area’s lesser-known attractions. B Street Hotel: A contemporary budget hotel situated in the UNESCO Culture Heritage centre of George Town. Slide up to the rooftop bar in the evening for ridiculously fine views over the colonial district. Betel Nut Lodge: A fantastic boutique guesthouse occupying a 19th-century heritage building in the old colonial centre of George Town. Within close walking distance to plenty of awesome George Town attractions. Cheong Fatt Tze (The Blue Mansion): Set in a old Chinese merchant mansion, this colourful piece of Penang history is the city’s most unique boutique hotel. The brights colours and intricate details will leave you in absolute awe every time you retire back to your room. Eastern & Oriental Hotel: A 5-star seaside hotel that’s among the most luxurious places to stay in Penang. The spacious suites feature contemporary furnishings and colonial twists that hint at the building’s 19th-century past. The oceanside pool and promenade is simply stunning. By bus: With little in the way of direct buses, getting from Cameron Highlands to Penang can be a bit tricker than whizzing between other Malaysian destinations. The best (and quickest) option is to take a bus from Cameron Highlands to Ipoh (just over an hour) followed by a bus from Ipoh to Penang. These routes between Ipoh and Penang can take anywhere from 2 hours and 10 minutes to over 4 hours. When booking your ticket, be sure to inquire about travel times to find the quickest option. Alternatively, you can catch a bus or train to Butterworth from Cameron Highlands or Ipoh and hop onto the ferry to Penang from here. It might be the quickest option if the direct Penang buses aren’t departing for awhile. Are you a foodie? Skip out on Cameron Highlands. If delectable food is high on your travel wishlist, plan your Malaysia itinerary with more time in Melaka, KL, and, perhaps best of all, Penang. All of these Malaysian destinations are pure perfection for tastebuds craving new and exciting flavours. Need more quiet time? Spend more time in Cameron Highlands. Steal some time away from one of the cities, and get into tea-drinking and hiking mode. Need more Vitamin D and relaxation? Ditch Melaka and throw Langkawi onto the end of your itinerary. Start your trip in KL instead of Melaka and allot a couple extra days at the end to move on from Penang to visit Langkawi. Rather get off-the-beaten path? High-tail it to the wilderness of Sarawak on Borneo. You’ll need a little more than 10 days in Malaysia if you want to split your time between Sarawak and the mainland. Covering ground on Borneo is never so easy; taking it slow here is always recommended. Singapore: Before or after your trip to Malaysia, any visit to this Asian city-state with leave you with a full belly and a whole lot of amazing memories. Indonesia: Visiting this vast archipelago is like pushing through an entire continent on its own. From the spiritual bliss of a Bali itinerary to the volcanoes and temples of Java, Indonesia might be the most memorable destination you’ll ever encounter. Thailand: Southeast Asia’s most famous destination sits steps away. Although just to the north of peninsular Malaysia, getting to the best places to visit in Thailand is best done with a short plane ride. Find your way over to the Thai capital of Bangkok to launch an epic Thailand itinerary of your own. Philippines: You’ll never run out of things to do in the Philippines. Zoom over the South China Sea to Manila and fire up a Philippines itinerary full of fun in the sun.